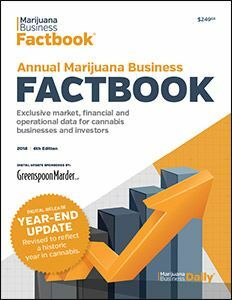 To reflect a historic year in cannabis, the editors of the most comprehensive cannabis industry data resource have re-released the 6th edition of the Annual Marijuana Business Factbook. The official Year-End Update includes the latest financial, operational and regulatory developments you need to position yourself for long-term success. If you already own a copy: Click here to log into your account to automatically access your updated digital version. The Year-End Update will not be reissued in print. Released during MJBizConNEXT 2018, the 6th edition introduced more than 300 pages of all-new and exclusive financial benchmarks, stats and forecasts as well as data on revenue, profitability and costs. The research published in the Annual Marijuana Business Factbook is essential for all professionals in the cannabis industry today. Editors and analysts at Marijuana Business Daily painstakingly research and evaluate the industry year-round to provide readers with the most comprehensive analysis on evolving trends in every sector. Marijuana Business Daily provides the most trusted and unbiased business news coverage of one of the globe’s fastest growing industries. Not sure if the Factbook is right for you? Download the complementary excerpt to read more.